When you think about the color green in nature, it is generally not a bright color. The green of grass, and leaves - most of the shades of green we see in nature, are a darker shade of green. Yellow, by contrast is seen in nature in bright shades all over. Sunlight. 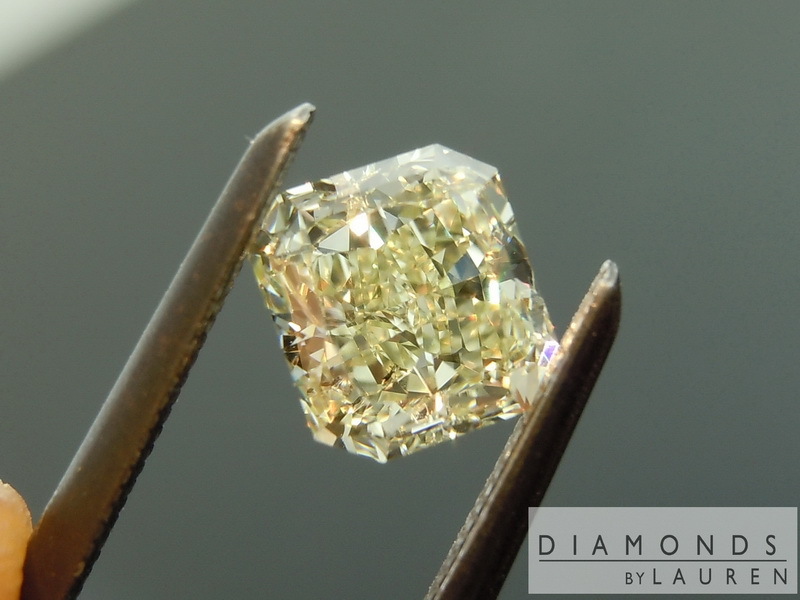 I point this out because when you're considering the color of the natural fancy colored diamond, it is very important to remember that the "natural" part of that description is very important. 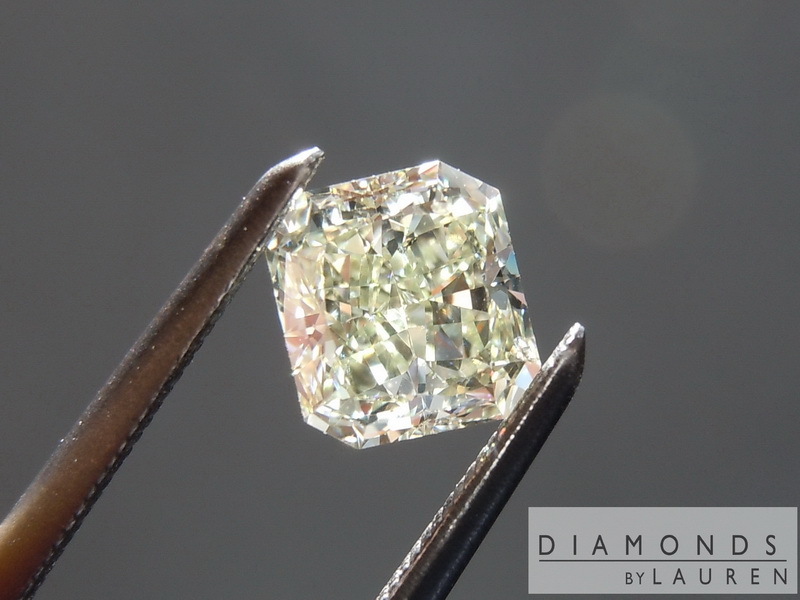 The color green that this diamond exhibits, is a great combination of yellow and green – with green being the predominant color. 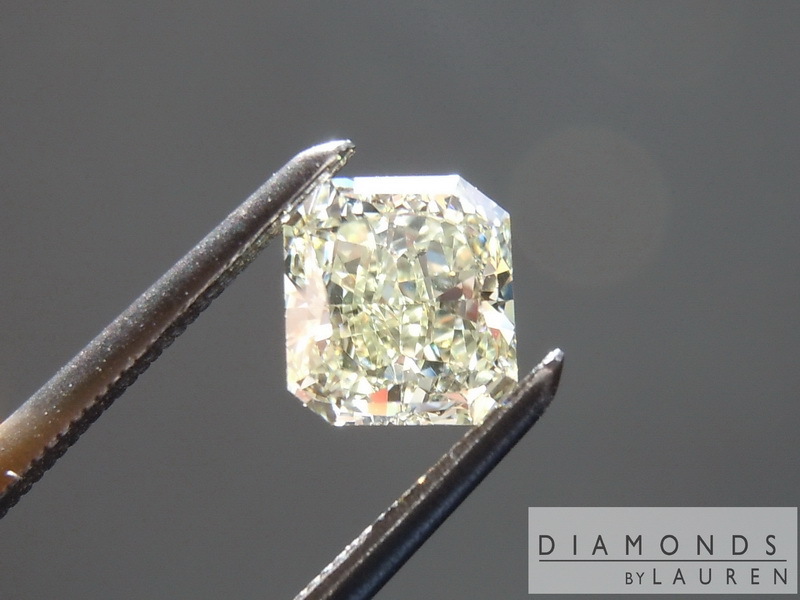 There's just enough yellow to result in a very bright diamond, however it doesn't overpower the green. Mind you, it's not "pure" green. 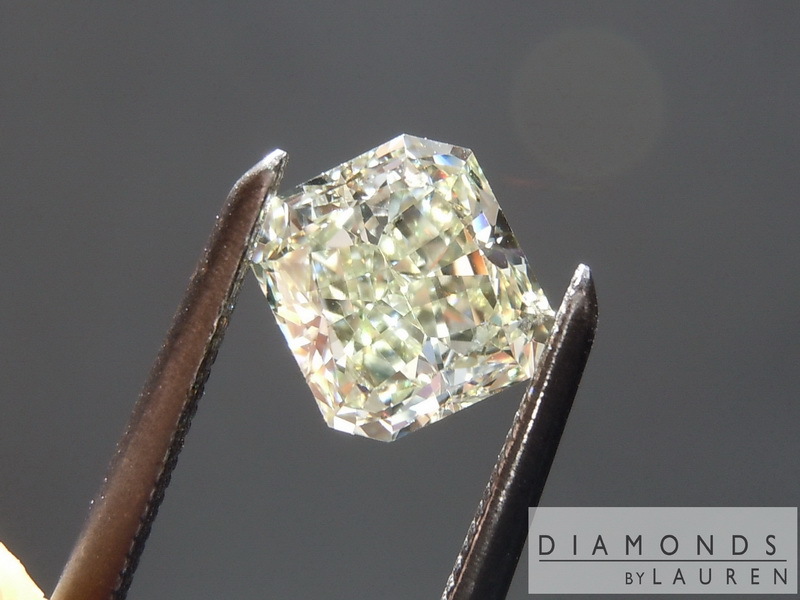 If it was graded "Fancy Green" by GIA, you'd have to add a couple zeros to the price, but a very lovely color. The cut helps here a lot as well. The stone is not quite square but close to it. The sparkle is uniform from one edge of the stone to the other. 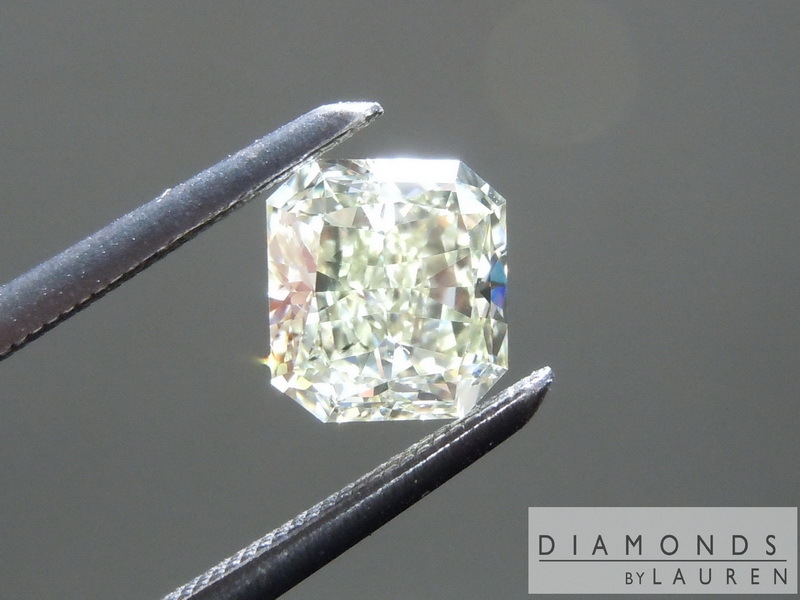 Important to may buyers- the stone has a great visual size for its carat weight. 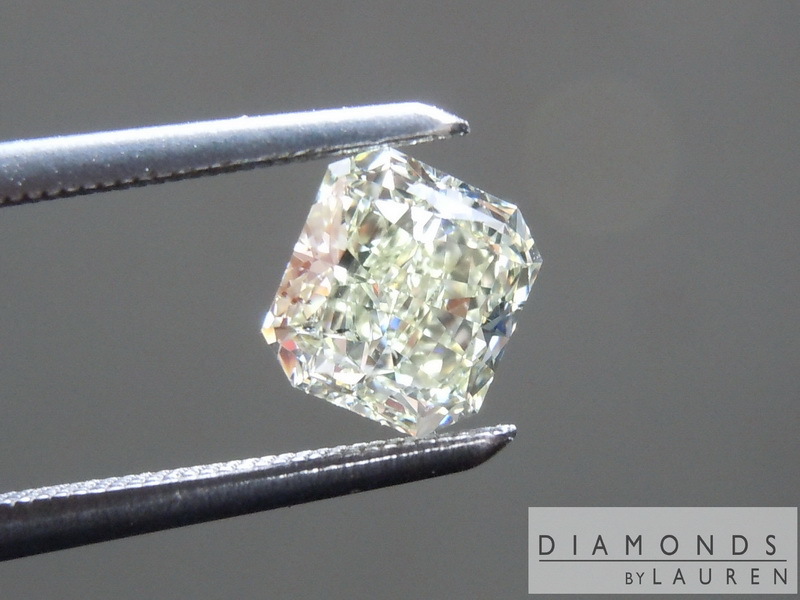 GIA Gave the stone and SI1 clarity. 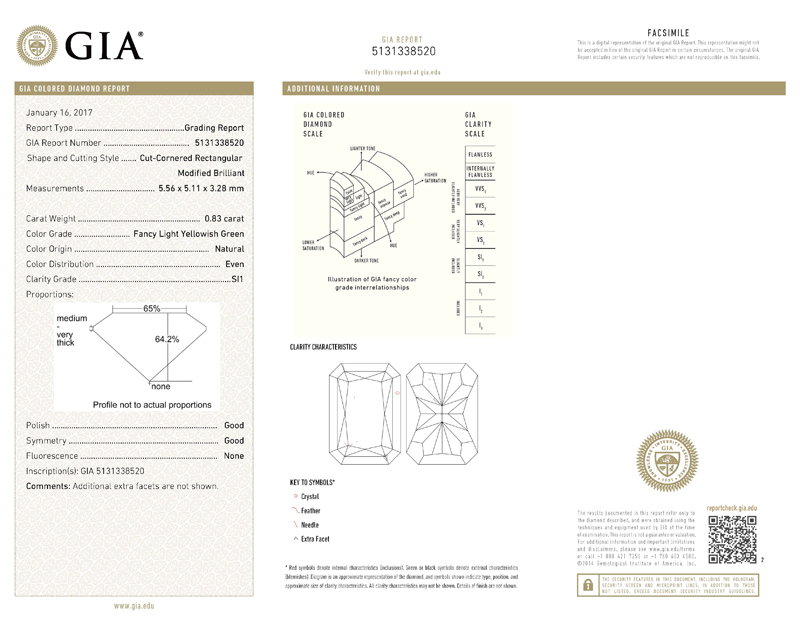 I've been grading diamonds since 1976, and I can tell you that this is one very tough grade on GIA's part. I examined the diamond before I inspected the GIA report. 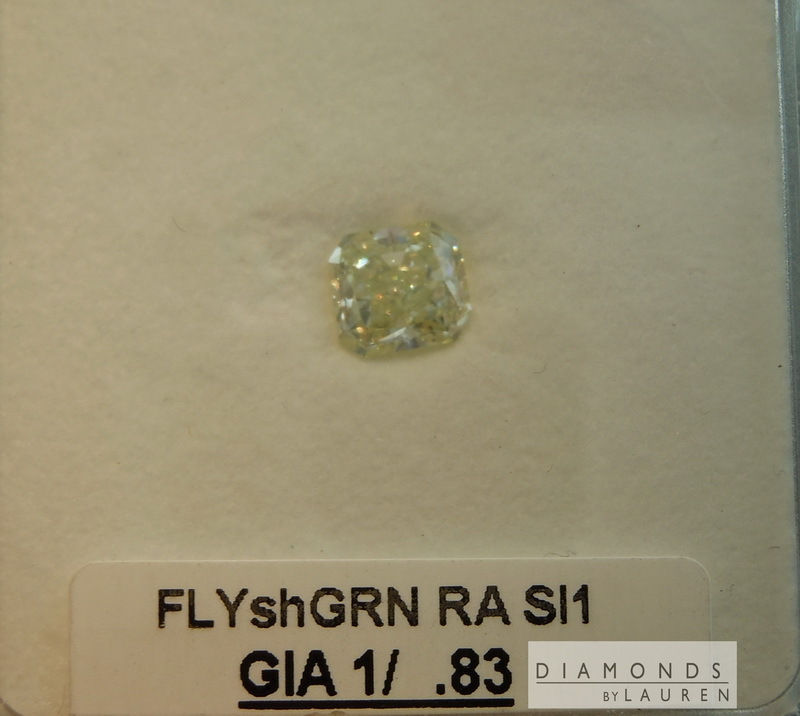 The small crystal which is plotted on the GIA report at about 2 o'clock on the facet diagram on the left – it took me about a minute to find that imperfection using a 10x Jewelers loupe. Bottom line – clarity is not an issue in anyway with this name in. Overall a lovely stone.